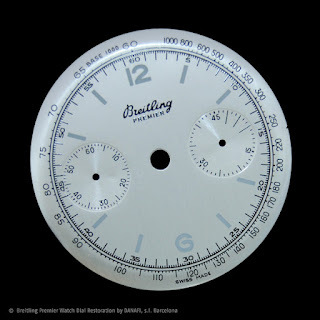 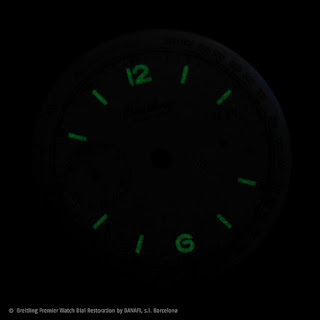 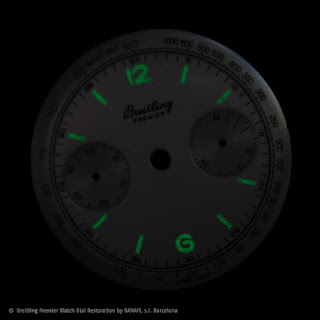 We can show you a beautiful Breitling Watch dial with luminescent sticks . This dial needed a restoration or refinish. 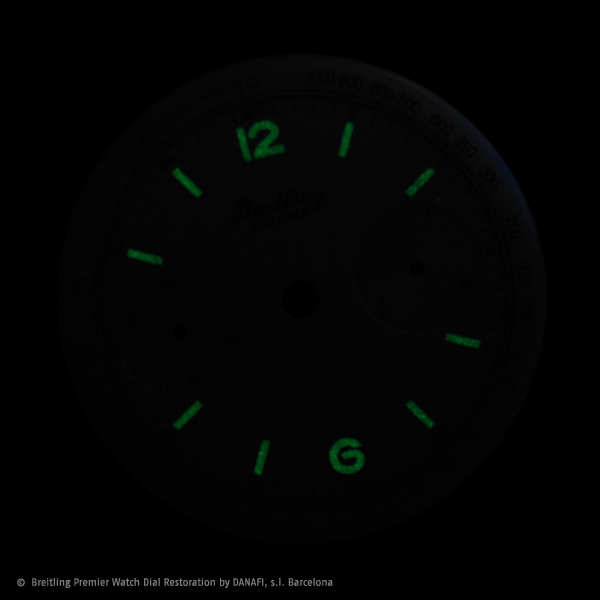 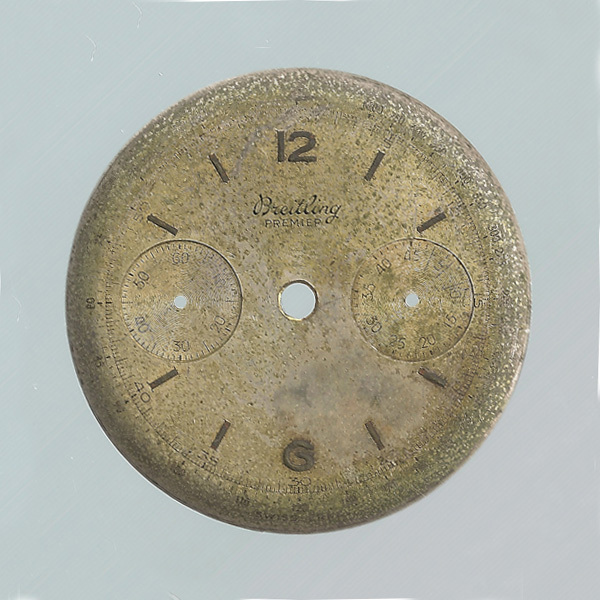 And our friends from Barcelona Watch Dial Restorers have sent some images: before and after the restoration. 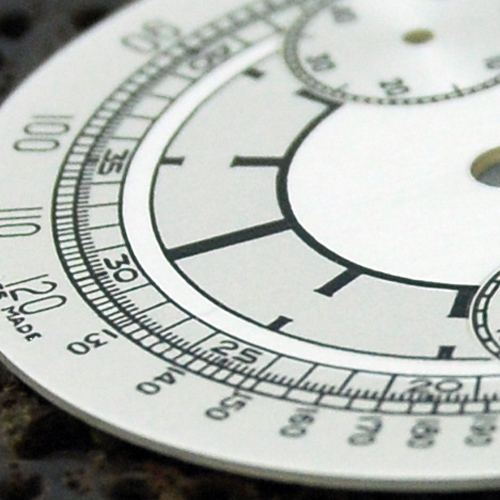 Our customer wanted a special service. 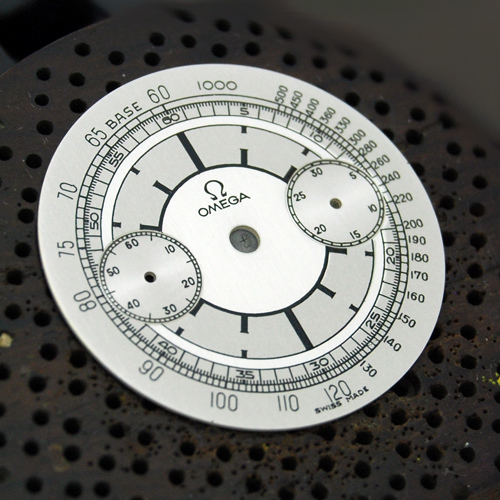 He wanted to restore the dial (an original Omega chronometer dial) with the background in two tones and everything in black ink. The original dial had different scales and colours but in this case, We have simplified the dial with one ink. 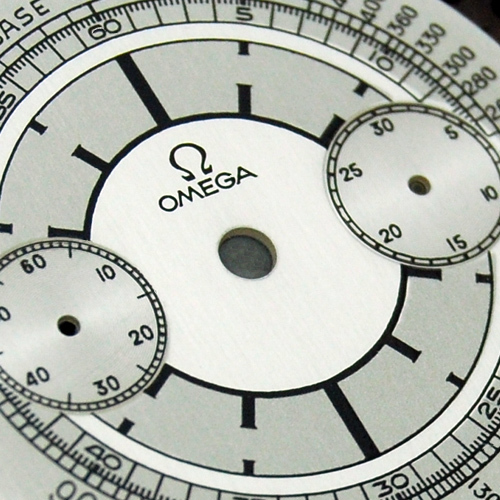 The result is a special design on an Omega chronometer watch. 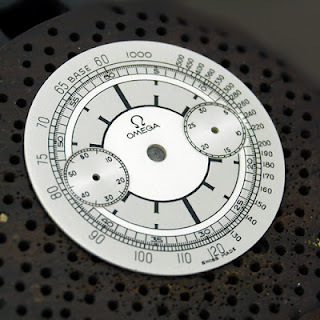 Omega customized watch dial with two tones and one ink.